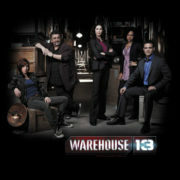 This is a 100% cotton, pre-shrunk, black t-shirt featuring the cast and name logo from the new sci-fi TV series Warehouse 13. 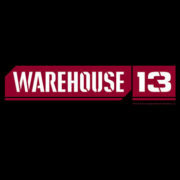 This is a 100% cotton, pre-shrunk, black t-shirt featuring the name logo from the new sci-fi TV series Warehouse 13. 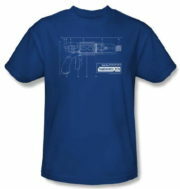 This is a 100% cotton, pre-shrunk, blue t-shirt featuring a blueprint diagram of the Tesla gun as seen on the sci-fi TV series Warehouse 13.